Volunteering is one of the most amazing things a person can do. Sometimes it involves a few minutes here and there whilst other times may require a few hours of your time. It can change peoples’ lives for the better; both the volunteer and the person or people who the volunteer assists. Sometimes, a few minutes of your time can make a massive difference to somebody else, such as making a hospital visit to a patient who feels isolated. Hillel, the famous Talmudic scholar, taught in Pirkei Avot (Ethics of the Fathers) that nobody can separate themselves from their community. From this we can learn that we have an obligation to help make our community a better place to live in, for both ourselves and others through our acts of Chesed (kindness) and volunteering. Our lives and our community can be immeasurably enhanced by contributing in this way. Volunteering is central to the ethos of the United Synagogue. Take a look around our Volunteering Opportunities section and find out about the many ways in which you can volunteer with us. For those who travel to Israel for business or pleasure, we have great ways to keep you occupied and really make a difference. With so many options to choose from there is definitely a volunteering option to suit your preferences. 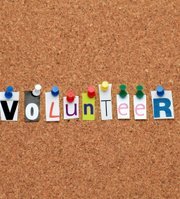 Take a look at the list of volunteering opportunities in Israel.